If there's one thing that gives us satisfaction it's a job well done. Since Luxury Bath of Raleigh opened our doors in the Triangle area, we've completed over a thousand successful Durham bathroom remodeling projects for families of all shapes and sizes. We proudly provide a diverse selection of products and services that range from a walk-in tub for your elderly loved ones to a complete remodel of your entire master bath. No matter what kind of services you require to complete your bathroom remodel in Durham, you can rely on experts that put your needs first. 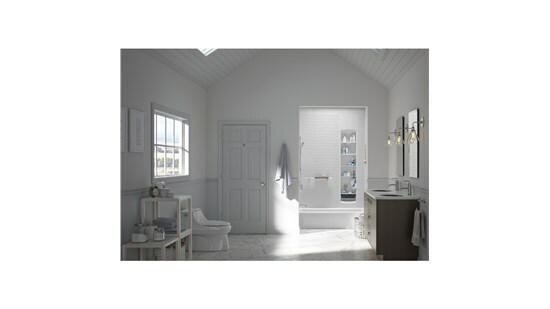 We'll work with you to create the ideal bathroom that complements your home while staying within your budget. Our seasoned industry experts have over 50 years of combined experience, and as members of the National Kitchen and Bath Association, we stay up to date on the latest developments in remodeling. We proudly use our expertise and knowledge to create world-class Durham bathroom remodeling solutions that can be customized to fit any household. If you're looking for a beautiful yet cost-effective way to remodel your bathroom, speak with one of our consultants today to see what we can do for you. Call Luxury Bath of Raleigh to learn more or fill out our online form to request your free, in-home and no-obligation estimate and consultation.